The 4Baby luxury 140x70cm Sprung cot bed safety mattress is a luxurious 5 inches thick and is composed of mini-bonnell spring units encased in an environmentally friendly super-fibre material, helping maintain the shape and prolong the lifespan of the mattress. Manufactured in the UK the hygienic and anti-allergenic cover is breathable and moisture resistant, which can be wiped clean and removed for washing purposes. 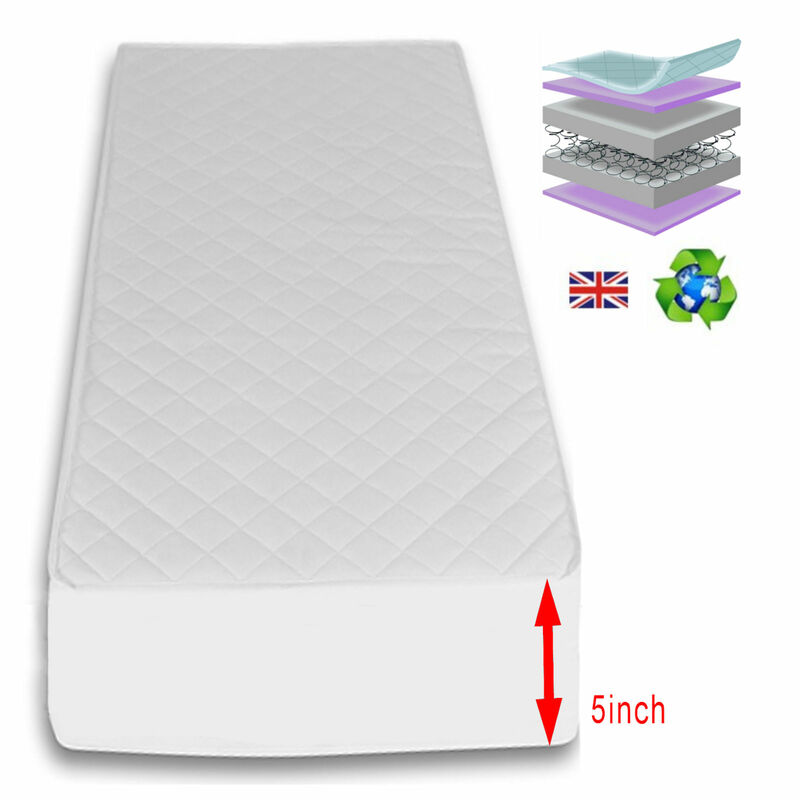 Air is able to pass through the material of the mattress, helping to reduce perspiration and providing your baby a more comfortable and undisturbed sleep.The mattress protector is made out of a specialist Corovin breathable membrane and covers over one third of the mattress (70cm wide x 50cm long). It easily glides up and down to be positioned in areas which are more vulnerable and susceptible to staining/soiling, thus prolonging the lifespan of your mattress. 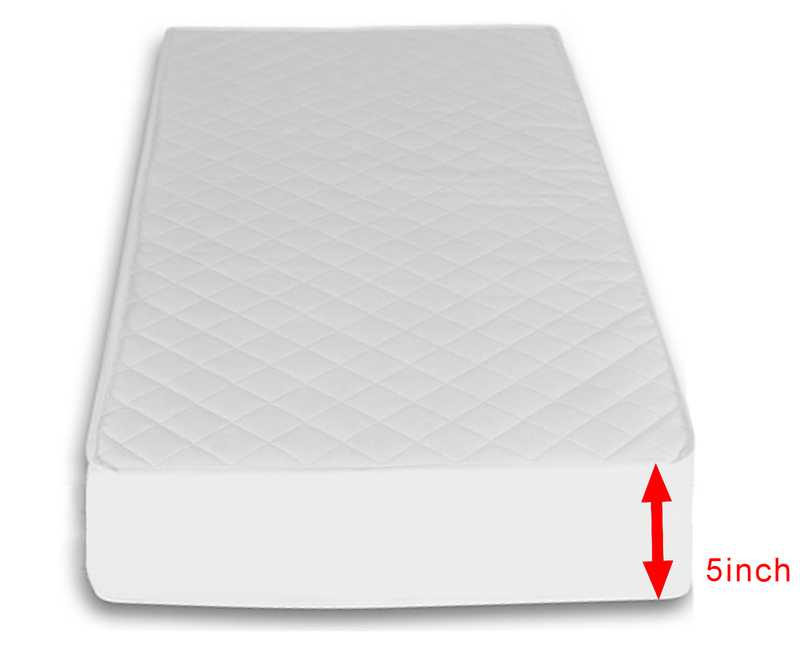 Helps the original mattress to have a longer lifespan. The item was delivered really fast,still waiting for baby's arrival so not used the mattress yet however it came nicely wrapped up with free protector and looks like an excellent quality. Thank you very much. for the price paid it is more thank bargain!!! i still have not used it as baby is not here yet but, by the look and feel of the mattress is very good. very pleased with it for the price paid as would definitely not find it cheaper!!! !